Jane Austen never goes out of style. Since the first publication of her six novels in the 19th century, she has delighted generations of fans with classic stories that have never changed—and countless covers that have. 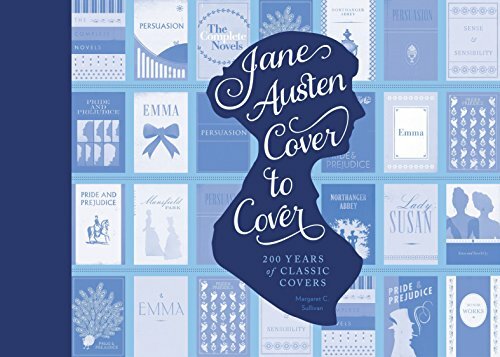 Jane Austen Cover to Cover compiles two centuries of design showcasing one of the world’s most beloved and celebrated novelists. With over 200 images, plus historical commentary, Austen trivia, and a little bit of wit, this fascinating and visually intriguing look back is a must for Janeites, design enthusiasts, and book lovers of every age. Margaret C. Sullivan is the author of The Jane Austen Handbook, editrix of Austenblog.com, and an active member of the Jane Austen Society of North America.